Warren Ellis and “ normal” expectations have never been the best of friends. The British scribe melded sociopolitical ideals with pulpy sci-fi in titles like Transmetropolitan and Global Frequency, resulting in a career that’s consistently taken the provocative road less traveled. Even when penning more mainstream titles for the big superhero companies, Ellis still manages to ignite a creative flare that effectively shakes the status quo, exemplified in his transformative “Extremis” arc in Invincible Iron Man and his current run on Moon Knight. In this way, new Image title Trees finds the writer again doing what he does best — the unexpected. In the first few pages, Ellis lays out the basic gist of his new world. Ten years ago, cylindrical alien objects (the titular “trees”) descended from the sky and implanted themselves across the globe. After causing some initial destruction, the trees freeze benignly in place. Years later, humanity has acclimated itself to the trees’ presence, yet remains wary of their nature. Ellis then focuses on several characters from around the world: a New York politician running for mayor named Vince, an aspiring artist named Chenglei in the run-down city of Shu and a scientist named Marsh who studies one of the alien trees in the Arctic. And…well…that’s about all we get in this initial offering. This debut is essentially a world-building primer, but one where the central danger or conflict has yet to be clearly-defined. Instead, the drama lies within its characters. The comic’s central hook (or lack thereof) is what makes it simultaneously a fascinating and frustrating read. Whereas most first issues go out of their way to grab you by the lapels and push you quickly through their universe, Ellis appears content taking his time to depict how this unorthodox “invasion” has impacted his main characters and their relationship to the world. This issue also bears some similarities to Game of Thrones in how its characters monologue about the past for dramatic effect. The lack of action, however, is expertly balanced by the sheer artistic talent on display. Artist Jason Howard’s deft skill with a pen and colors is undeniable after reading this comic. Throughout this inaugural issue, Howard bombards the reader with panel after panel of beautifully-composed, meticulously-colored images. From the dreary, Red Light District-eque shading of Shu’s interiors to the incredible spreads of the frozen Arctic landscapes, this truly is Howard’s star-making gig. 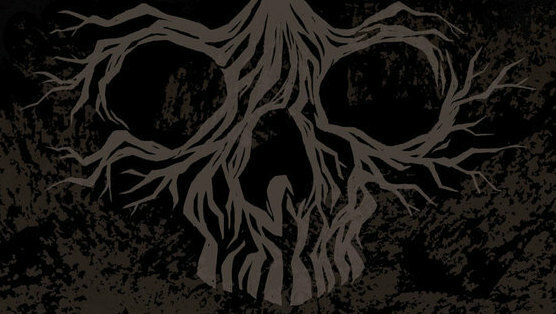 The first entry in an 8-issue arc, Trees #1 sets itself up as a story with far more to come. Much like the titular plant life, the book looks as if it will be a story that flourishes slowly and steadily. All that’s required is a bit of patience.